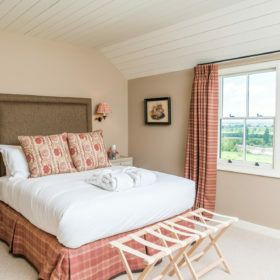 Indulge, chill and retreat as you slide into Countryside Cottage and Spa’s on-site spa and gaze out across the silent Wiltshire plains. Get diverted by the games lodge with bar, control the house with the Crestron console, chill to Sky and Netflix, stare at the stars in the hot tub. Retire to Egyptian cotton bedding and bath robes warmed on towel rails. 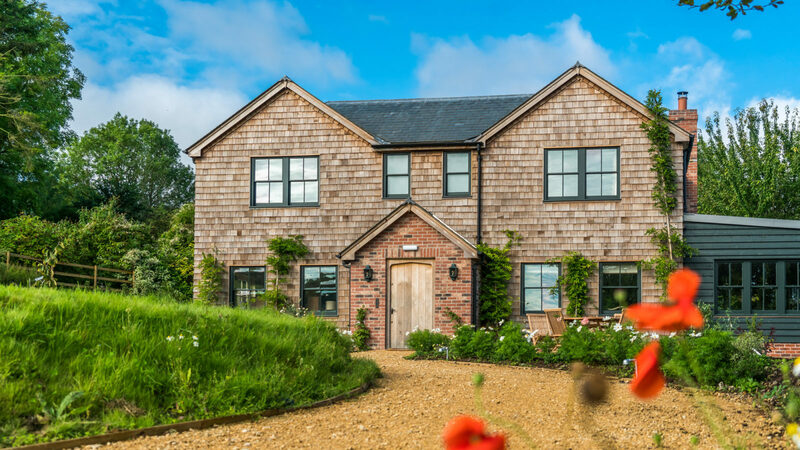 If you were ever unsure about how to spoil yourself, Countryside Cottage and Spa in the heart of rural Wiltshire should provide some clarity. 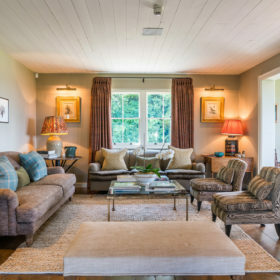 This is the definition of the self-contained special stay for hens and smaller parties. 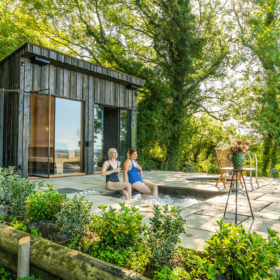 Indulge, chill, pamper and retreat from the real world as you slide into the on-site spa and take in the views across the valley. 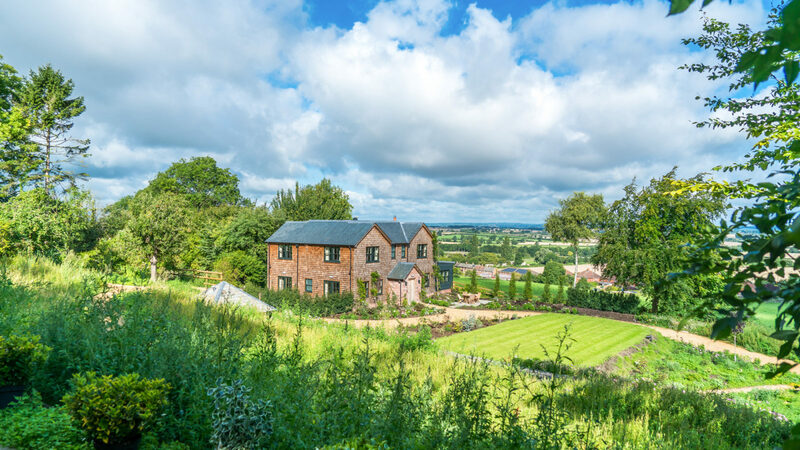 Sleeping 12 in designer luxury, Countryside Cottage and Spa is the place where you move with effortless ease from the steam and sauna house to the plunge pool, then gaze at the stars by night from the bubbling hot tub. 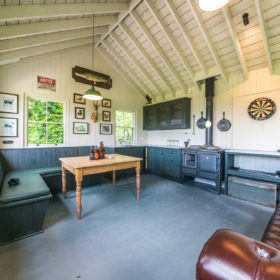 Take a diversion via the games lodge, with bar, dartboard, roaring fire and comfy Chesterfields. 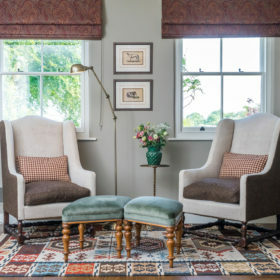 Traditional English style lives here alongside contemporary cool. 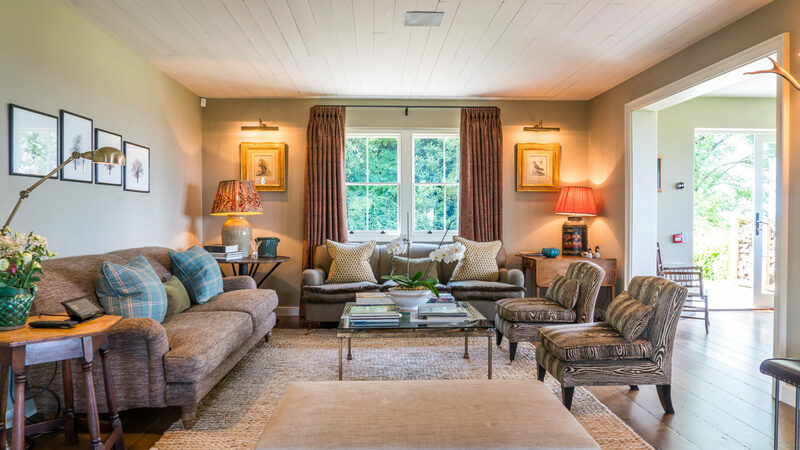 The latest technology buzzes throughout and living spaces flow seamlessly from one well-appointed space to another. Chill in front of Sky, Netflix or Apple, dock your music and control every zone on the Crestron console. 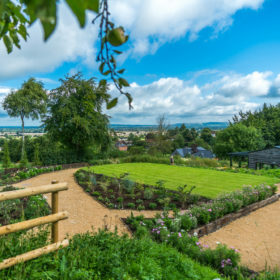 Self-cater on the range, or put your feet up and let private chefs work wonders with Stoke Marsh Farm beef and Lovejoy’s locally sourced fruit and veg. 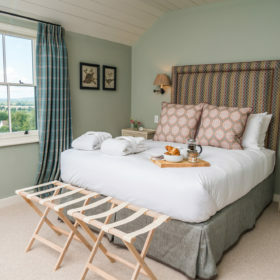 Retire to the rural silence and the en-suite enveloping luxury of Egyptian cotton bedding, extra pillows, white fluffy towels and bath robes warmed on piping-hot rails. There’s space for nine cars on the crunchy gravel and half an acre beyond that for human beings to explore. 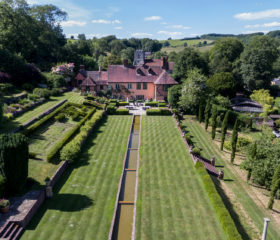 There’s croquet on the lawn, footballs to kick and trails to follow across the Wiltshire countryside. Drink and dine around the wood barbie on the terrace with hilltop views across the valley floor. 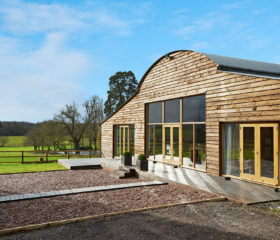 Head to the on-site barn for holistic beauty treatments. Heat things up in the sauna and steam room. Cool off in the plunge pool. 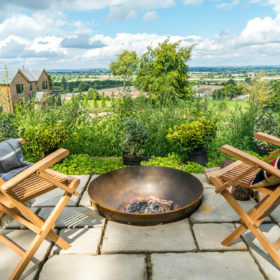 Gather round the firepit at night or stare at the stars from the bubbling hot tub. 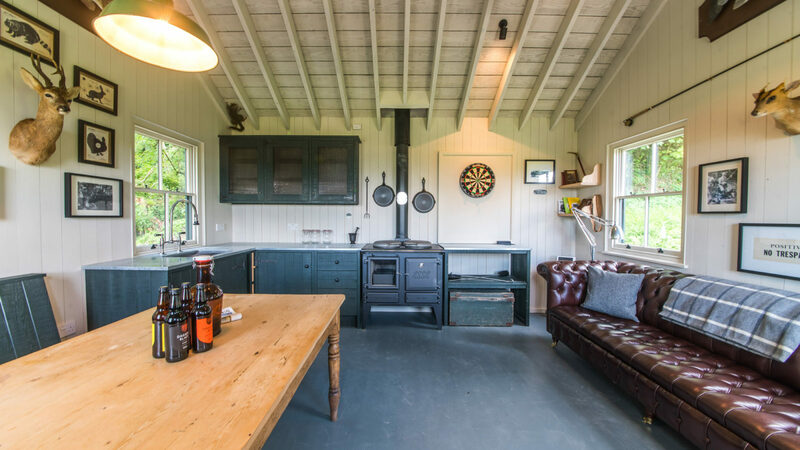 Escape to the on-site games lodge, for your own late-night lock-in at the bar, with comfy Chesterfields, darts board to hand, hunting trophies on the wall and woodburner to warm your toes. 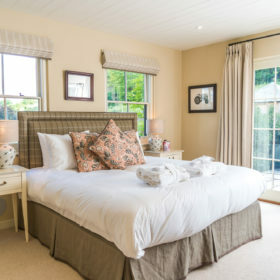 Make Countryside Cottage and Spa your own for the duration of your stay. Relax, spread out. 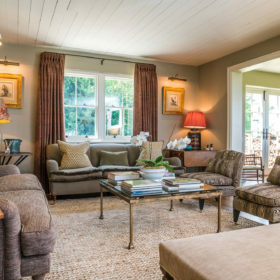 This is the perfect retreat for a group get-together or celebration, a newly built home complete with carefully curated traditional features and modern conveniences. Spaces here buzz with technical wizardry. Control your music, lighting and heating with a forefinger’s glance across the Crestron console. But you might prefer the simple old-school joy of kicking back on a chaise longue with a good book. 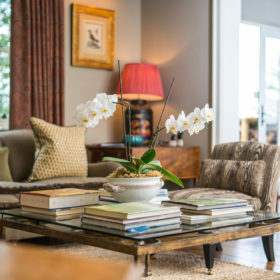 The living room comes with squishy sofas, books piled high on the coffee table and a natural open-plan flow to the dining room and kitchen, for chopping and chatting. Get together for movies or the match around the wall TV complete with Netflix, Sky and Apple. The facilities are magnificent. 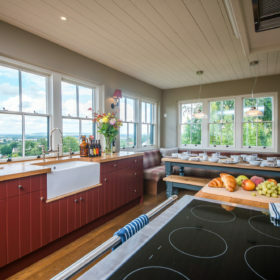 Embedded in the state-of-the-art kitchen is an Esse Ironheart multifuel stove, perfect for stewing Stoke Marsh Farm beef and roasting Lovejoy’s locally sourced fruit and vegetables. 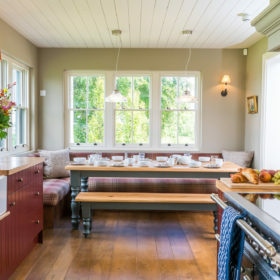 But if you’d prefer to leave it to the pros, your own private chef can slip on his whites and even wash up the dishes. Get together around the chunky dining table, sample the goodies from the welcome hamper, keep your glass full and the ice machine busy. Head outdoors to the patio with tables and chairs and views over the valley. 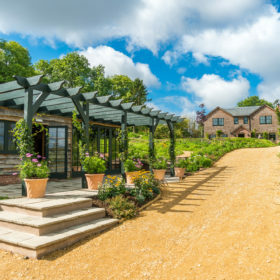 Fire up the wood barbecue and enjoy steaks and salads in the country air. Finish up with Nespresso coffees. 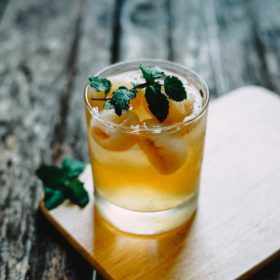 Go gastro at the adjacent Three Daggers pub and restaurant with locally sourced mouth-watering food, craft ales and live music. Or buy the same ingredients yourself at Edington Farm Shop. 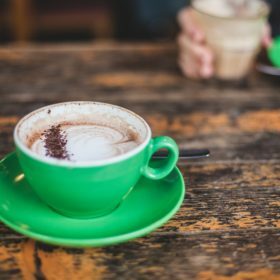 Enjoy a freshly ground coffee while watching the brewers from the viewing area overlooking the Three Daggers Brewery. Elsewhere, try The Three Gables at Bradford-on-Avon for Mediterranean-inspired, modern British food. 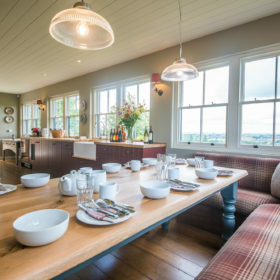 Sample the chimichurri beefburger or Dorset clams at Timbrell’s Yard, or book the free-floating glass mezzanine dining space at Archangel Frome for sautéed pumpkin gnocchi or Applewood-smoked cheddar soufflé. 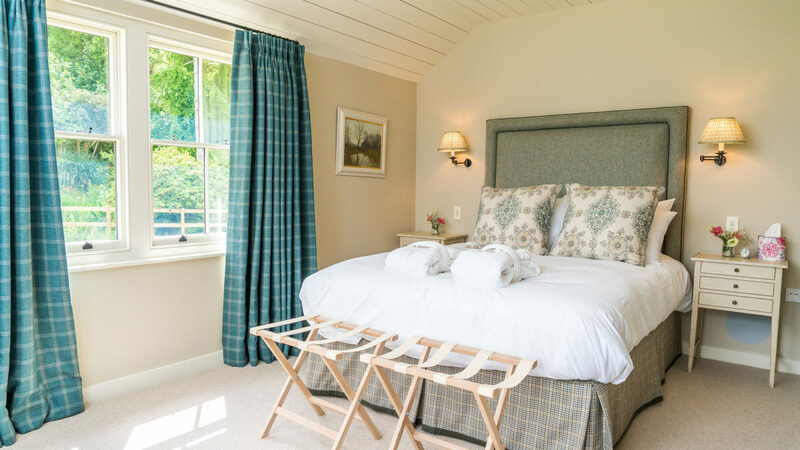 Dream delicious dreams in the rural silence wrapped in the enveloping luxury of Egyptian cotton bedding, extra pillows, white fluffy towels and bath robes warmed on towel rails. 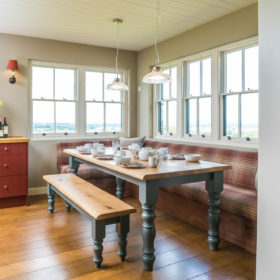 Countryside Cottage and Spa sleeps 12 flexibly, in six doubles, or four doubles and two twins. 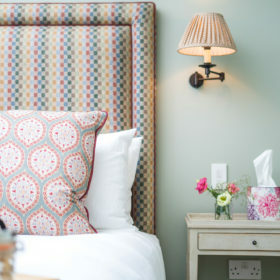 All rooms are en-suites with 32-inch TV, steam shower and Crestron lighting and digital-media control. Bedrooms one and two are superkings, while bedrooms three to six are king-size. A zedbed or cot can be provided for each room. 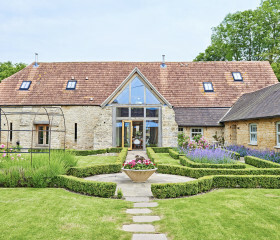 Stay at base for the spa barn and beauty treatments, croquet or archery. 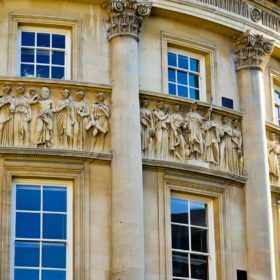 Head out for geothermal action at Bath’s Thermae Spa or Roman Baths. Shop in stylish Bath. See Stonehenge or Avebury Stone Circle. At night, hot-foot it to the Three Daggers for cask ales or throw your hands in the air in Bath or Trowbridge.